Captains for Clean Water will hold a benefit on Sunday, Jan. 6 from 4 to 7 p.m. There will be speakers, heavy hors d’oeuvres, an open bar, a silent auction, live music by Sounds of Obe and panoramic sunset views at The Gasparilla Inn Beach Club. 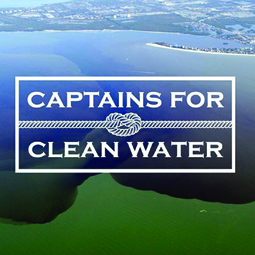 All proceeds will go to Captains for Clean Water, a grassroots 501(c)3 nonprofit organization that advocates for the elimination of harmful, large-scale Lake Okeechobee discharges into the Caloosahatchee and St. Lucie River estuaries by restoring the natural flow of Lake Okeechobee water south into the Everglades and Florida Bay. Restoring the natural southern flow of Lake Okeechobee water is essential to the survival of our estuaries, the health of the Everglades, and the long-term viability of South Florida’s largest drinking source, the Biscayne Aquifer. Older PostCoffee with a scientist, anyone?